This new grade separated interchange on the N11 dual carriageway was required to provide access to development areas at Greystones. On and off ramps, and a vehicular underpass were constructed while maintaining uninterrupted flows on the dual carriageway. 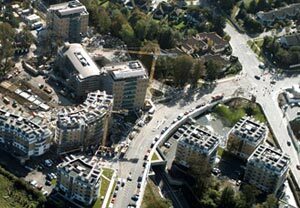 The works included slope stabilisation, extensive new local distributor roads, a footbridge across the N11 carriageway and on-line improvements to the N11. 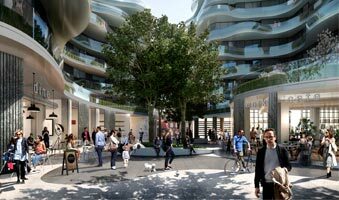 We were appointed to provide full engineering services to contractor Sisk for this D&B project. Our team carried out 2km of N11 road pavement strengthening and on-line realignment to cater for provision of a new median barrier design. We were appointed to provide design and construction administration services in connection with two road crossings over the new LUAS tram line at Balally, Dundrum. 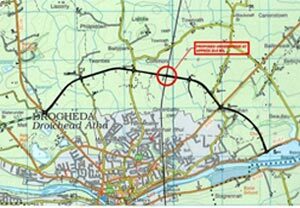 The North Drogheda route comprises 5km of single (expandable) carriageway, 4 at-grade roundabouts, new trunk watermains, new trunk foul sewer, new underpass beneath the Dublin-Belfast mainline railway, and associated earthworks. The Lusk Relief Road has been designed and constructed to relieve traffic from the centre of the historic village of Lusk in north Co. Dublin. 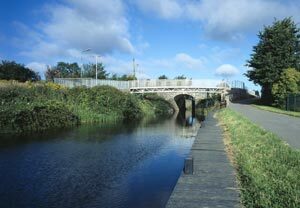 The Reilly footbridge is an 18m span, lightweight steel footbridge across the Royal Canal. The bridge was required to separate pedestrians and cyclists from vehicular traffic on the Ratoath Road at the existing masonry arch crossing of the canal.